Fr. 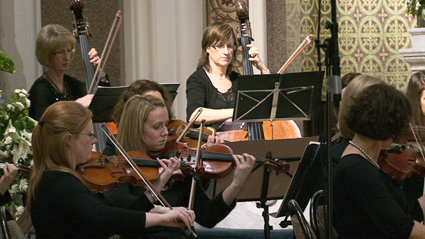 Mc Nally Chamber Orchesta Gala Debut Concert – 13’th February 2011. I was out on Sunday evening filming the Fr. 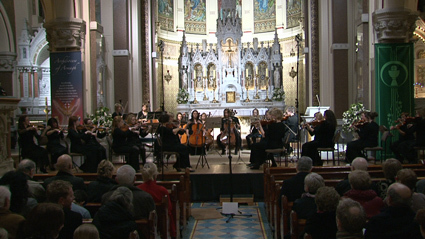 Mc Nally Chamber Orchestra Gala Debut Concert in The Redemptorist Church Dundalk to a packed church of over 500 guests. A delightful evening was experienced by all and we had the man Himself there to witness the evening, Fr. 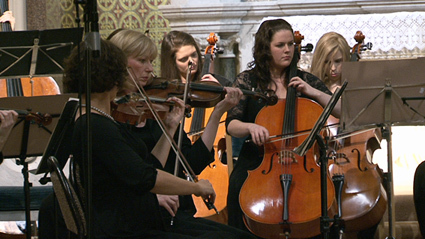 Mc Nally who has thought most of the Orchestra at one time or another, this was a great memorable video production. There was a great appreciation for the music and the Guest Soloist’s were Michael d’ Darcy & Karl Sweeney with the Leader/Director being Briege Mc Golderick. This was a great occasion and another one for my collection of many corporate videos I have done over the years. A lovely evening had by all. 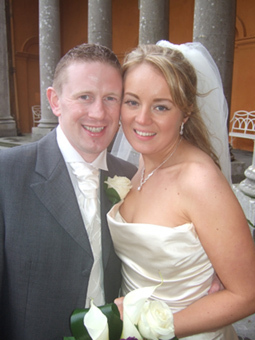 I had the pleasure of doing the wedding of Fallon Leddy & Seamus Palmer on Friday the 4th February 2011. We arrived at the church in Celbridge were Fr. Kevin Doherty met us and were Seamus and the lads were there in the finery and looking dapper. 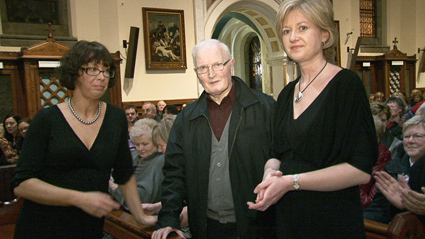 The beautiful music both on the Harp and Singing in the church was from Mary Louise O’ Donnell. We went to Castletown House for photographs, it was a lovely location and very well sheltered from the wind so Pat and I had a verity of places to take pictures. 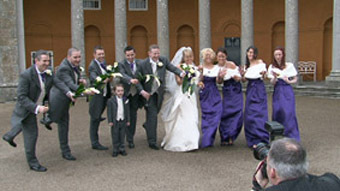 When we arrived at Johnstown House there dedicated team were waiting on us and did a great job as always. After the dinner the we were entertained by none other than Hit Connection a big 8-piece band as per usual they have the crowd rocking from the word go.